Samsung recently announced that they had sold over 1 million Galaxy Tab tablets worldwide, and now it looks like they are attempting to increase their numbers with a holiday promotion on the Galaxy Tab. 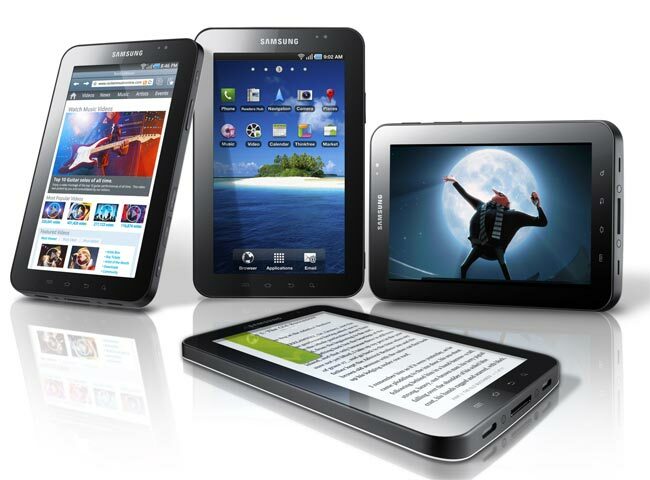 Anyone who purchases a Samsung Galaxy Tab in the UK between the 8th of December and the 28th of February 2011, will get £200 worth of free content, which includes a choice of 50 MP3s, 15 movies, 7 games and 5 eBooks. Samsung have set themselves a target of 1.5 Million Galaxy Tabs sold by the end of 2010, and are obviously using this promotion to boost numbers, and cash in on Christmas tablet sales. The Galaxy Tab is currently more expensive than the Apple iPad in the UK, with the base model iPad retailing for £429 whilst the base model Galaxy Tab retails for £449.